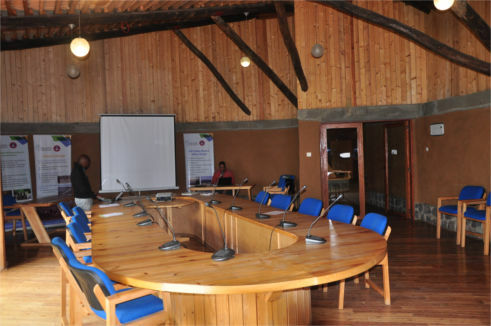 HoA-REC&N’s Headquarters, with its beautiful, eco-friendly building situated in the Gullele Botanic Garden, is an ideal place to host meetings, conferences, exhibitions, etc. The centre has two meeting halls: Plenary Hall and Small (Oval) Room. The Plenary Hall can hold up to 250 participants, while the Small Room can hold 30-40 participants.